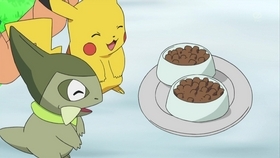 During a lunch break on their way to Nacrene City, Ash and friends catch a pair of Darumaka sneaking off with their food. 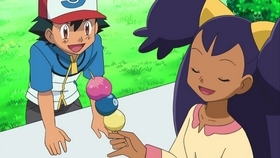 Ash learns that these two Darumaka have always gotten along with the people of the nearby town, at least until they recently started stealing food. 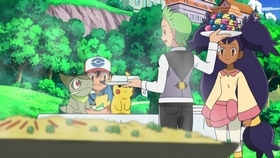 He decides to go after them to find out what’s going on. 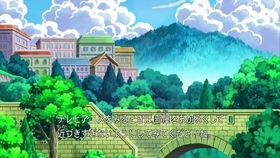 Our heroes follow the two Darumaka to an old clock tower, which is slated to be torn down soon. 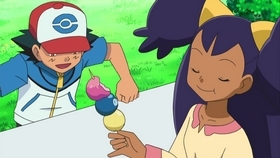 They climb the tower and discover an exhausted Darmanitan, who’s using its psychic powers to keep the clock tower’s gigantic bell from falling and destroying the entire building. 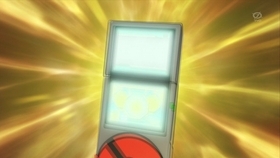 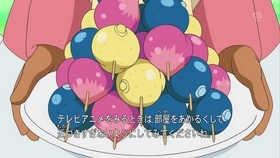 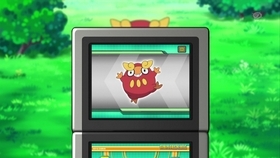 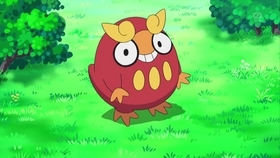 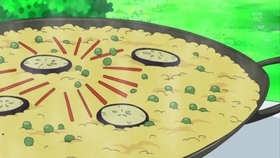 It becomes clear that the two Darumaka have been stealing food to help Darmanitan keep its strength up, but the big Pokémon is running out of energy. 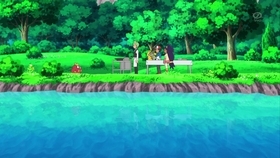 With everyone pitching in, the bent hook that once held the bell is quickly repaired, and Darmanitan manages to lift the heavy bell back into place, securing it safely. 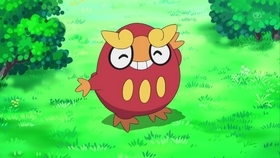 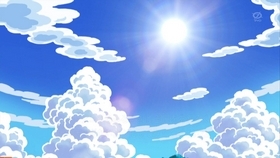 After learning how Darmanitan and its Darumaka friends saved the clock tower, the townspeople decide to restore and maintain the old building, and allow the three Pokémon to live there! 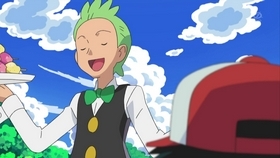 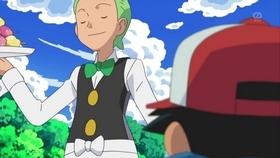 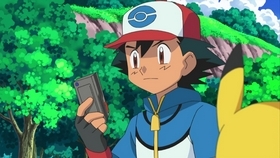 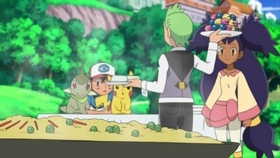 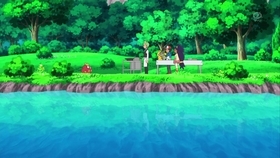 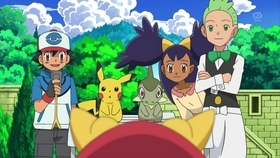 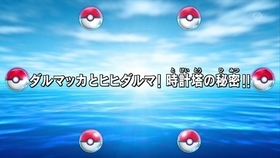 Happily, our heroes bid them a fond farewell, and again set their sights on Nacrene City and Ash’s next Gym Battle.